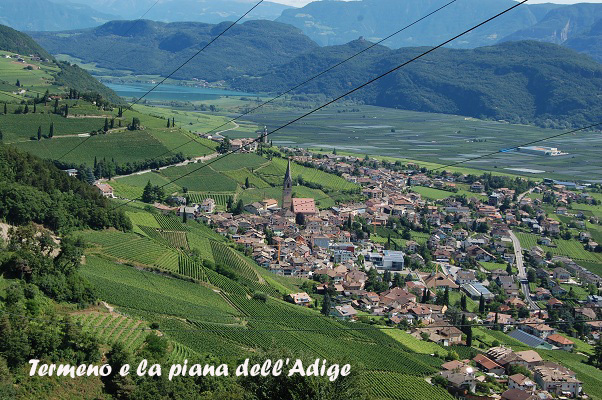 The last stage in Alto Adige, short and very easy, will take us from the last hills down to the valley bottom, still among vineyards and well tended apple orchards. 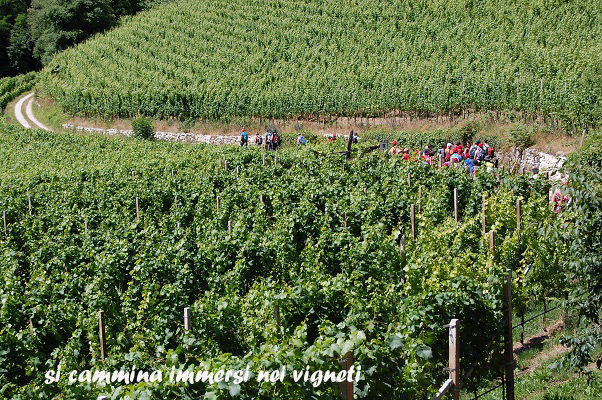 Lost among the vineyards as far as the eye can see, Termeno/Tramin is the cradle of Gewürztraminer, a very fine white wine produced with a vine by that name, which on these hills exposed to the sun and caressed by the gentle climate of the lake, finds an ideal habitat. 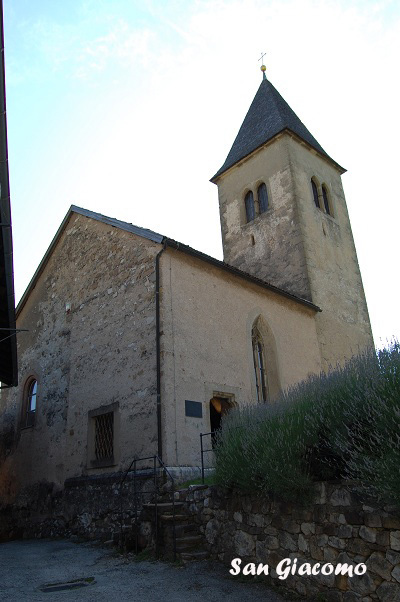 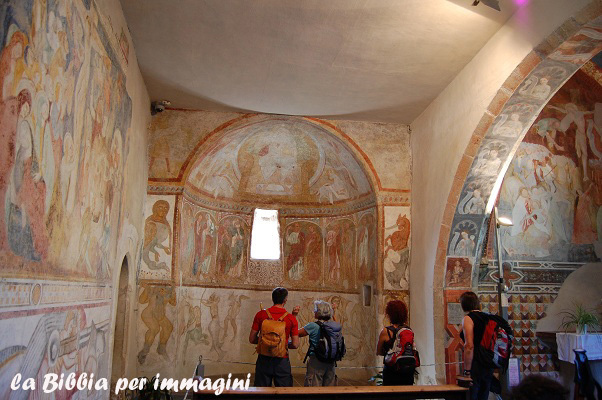 The church of St. Giacomo/St.Jakob is extremely interesting, it is one of the most important monuments of South Tyrol. 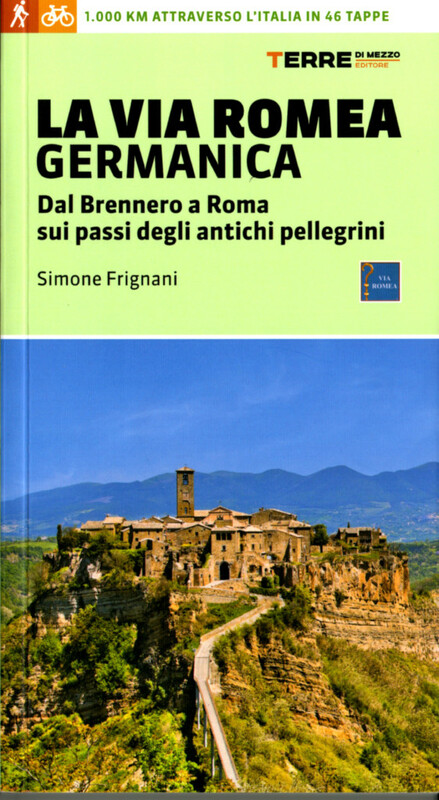 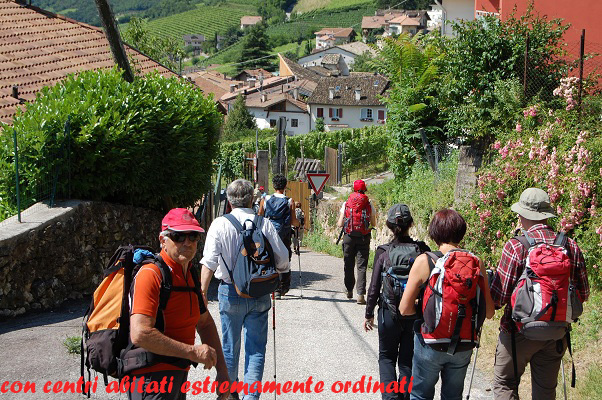 For centuries it has been seen and admired by passing pilgrims directed to Rome or Compostella. 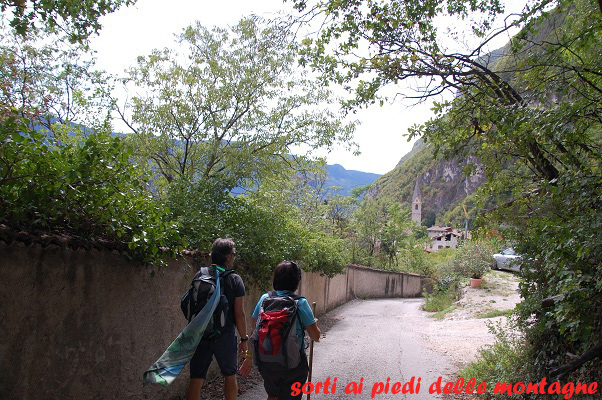 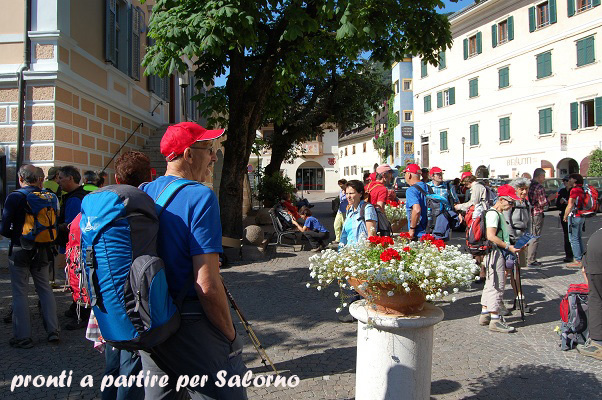 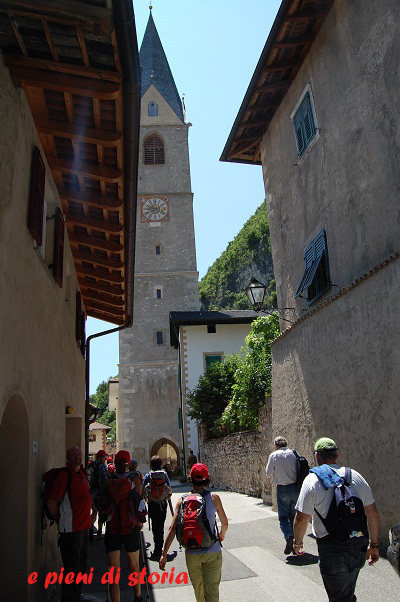 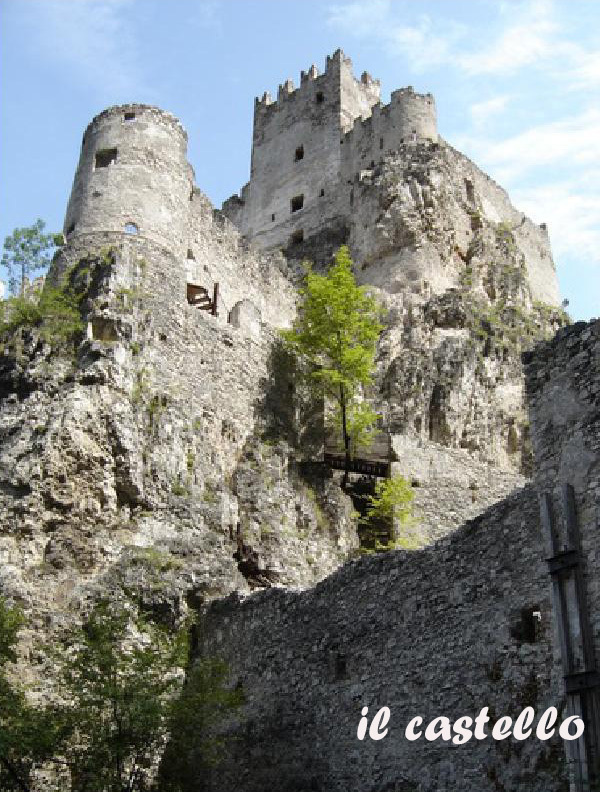 From the main square we shall climb up to the church of St. Giacomo/St.Jakob and walk along via Schneckenthaler, then via St. Quirico and Andreas Hofer which will take us to the locality Ronchi, and then to Cortaccia which enjoys a beautiful view of Adige Valley. 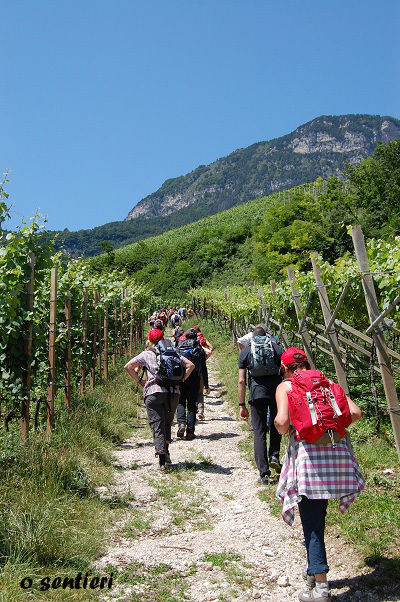 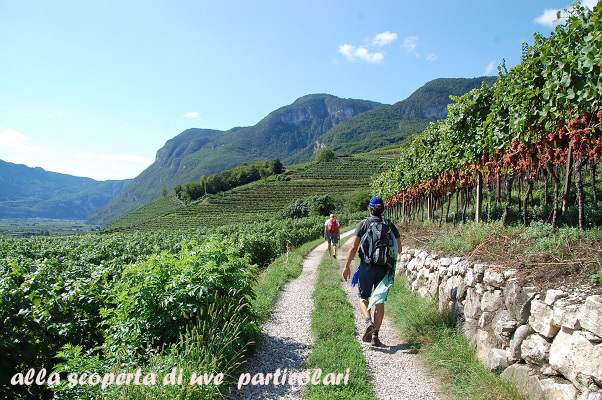 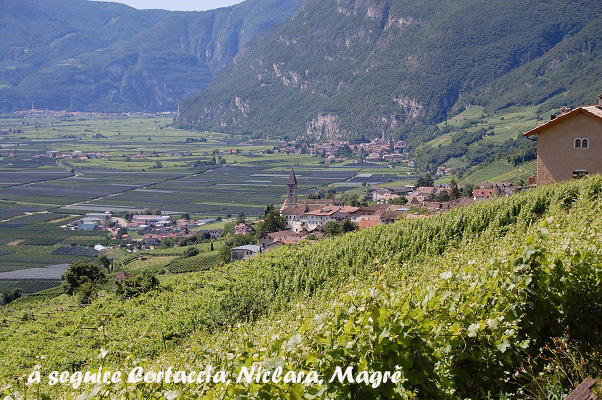 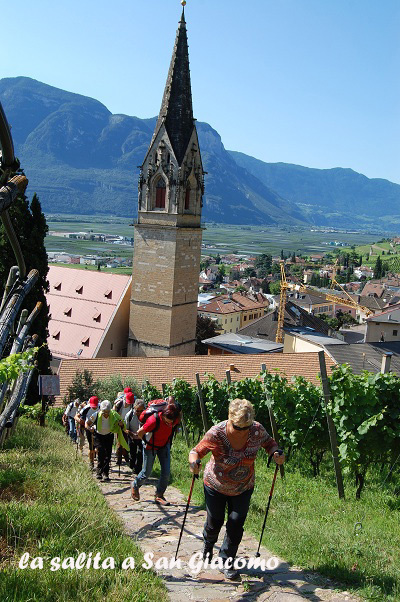 Walking through the village of Cortaccia/Kurtatsch, we take, on the right, the Weinelehrpfad footpath with many instructive boards concerning the different varieties of vines cultivate in the vineyards. 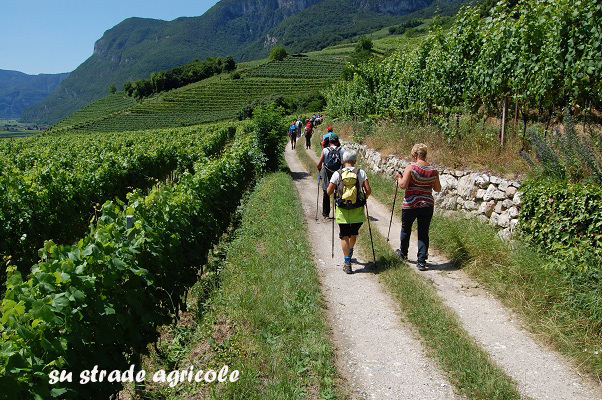 We will the reach Entklar (Niclara), and with footpaths 3° and 3, we reach Magreit (Magré). 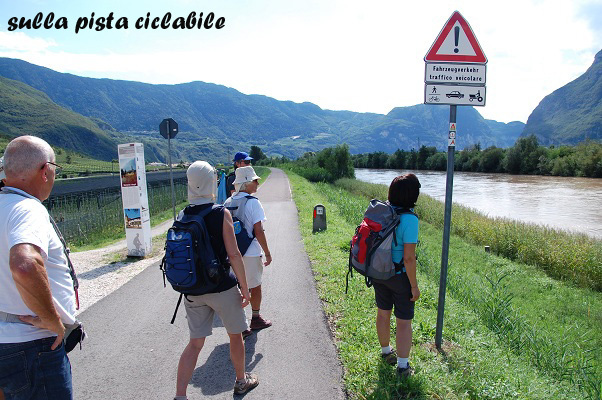 Here cross the village and take Via della Stazione which will take us 2,5 km beyond the Adige, after having crossed the railway and the motorway; we then turn right to follow the cycling lane for 800 m, we turn left and then right, crossing the State Highway paying attention to the traffic, turn again left, then right and take the Schotterweg and enter the locality of Laghetti/Laag, we follow the main road for 600 m, turn left to Via Grillnerweg, which takes us to Via Dante which we leave at the crossroad with Via Reif to take Via Molini which in 6 km will take us to Salorno/Salurn: We enter Salorno from Loretostrasse. 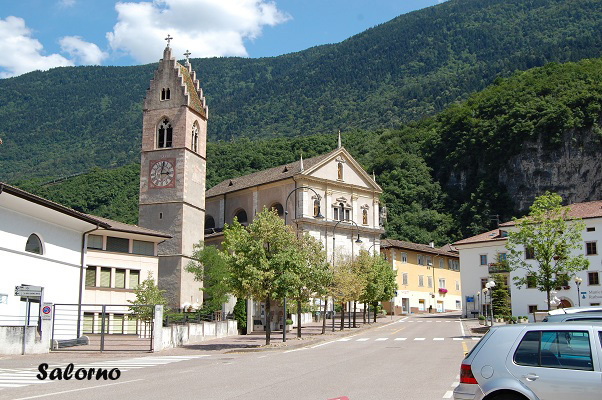 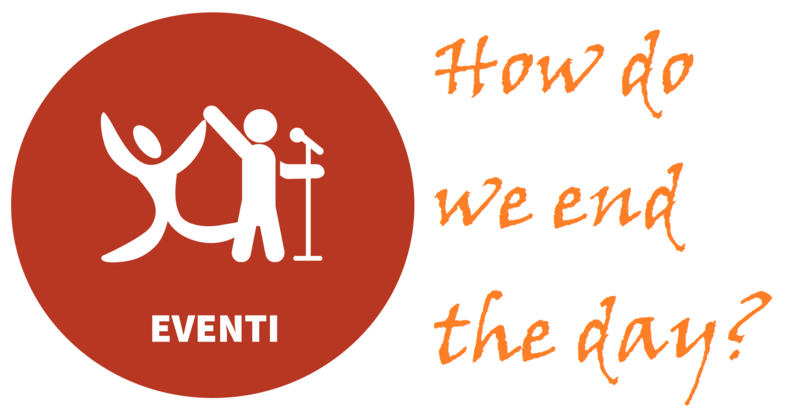 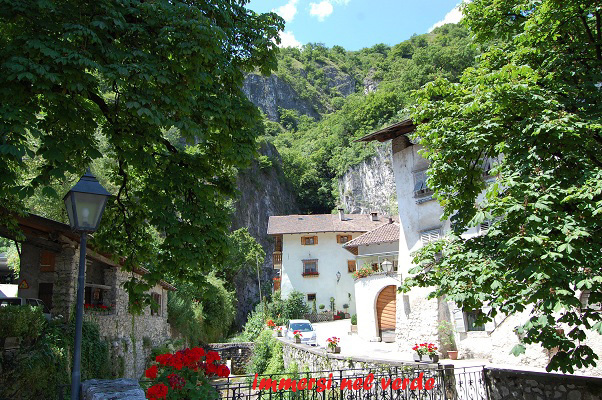 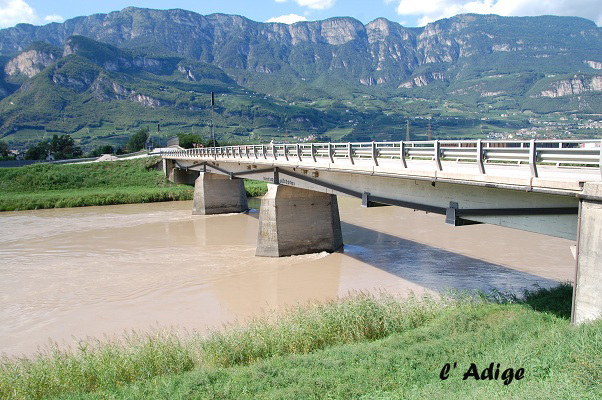 In some places it is difficult to find accommodation only for one night: we suggest you to take accommodation for more nights, using, for your movements, the comfortable and cheap local trains, route Brenner-Trento-Bassano del Grappa.